Though the title of Father belongs to Charles Darwin I am of the belief that Richard Dawkins should be named the Patron Saint of Evolution. I doubt Dawkins or the catholic church would be very thrilled with the title but I think it has a certain ring and would be well deserved. I was introduced to the writings of Saint Dawkins (this is going to catch on I swear) by another favorite author of mine, Douglas Adams. 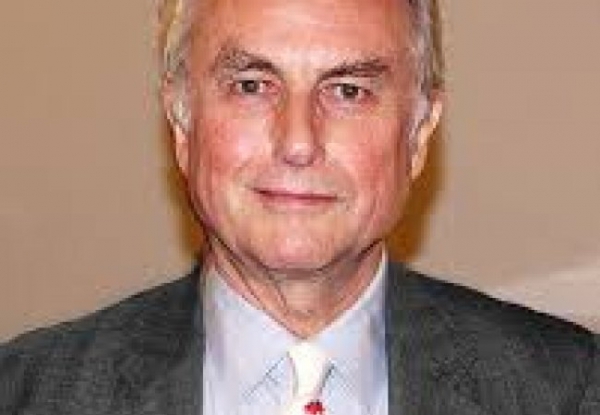 Dawkins’ book “The Selfish Gene” was the first scientific book I ever read. I was surprised to find that much of the material was easily understood and was pleased that Mr. Dawkins didn’t feel the need to burden the common man with complicated mathematics (though I should desperately like to learn). “The Selfish Gene” was an enlightening look at something I thought I knew everything I needed to know about, evolution. This book centers more on the process of gene selection which in itself is a very interesting process. I was captivated, and surprised to be so by this scholarly writing of biological science. It wasn’t exciting in the way that Lord of The Rings or the works of H.P. Lovecraft are exciting but it was enthralling in a much deeper fashion. It was in essence a book about me, you, and all of us. I found the ideas wonderfully enlightening and still spend long intervals pondering them. I soon after took to listening to his books through Audible.com (He narrates them himself which is nice because he has a very enchanting voice, or maybe my American ears are enthralled by anyone with a British Accent, who knows.) I started with “The Blind Watchmaker” and kept going all the way through his latest work, “The Ancestors Tale”. They are all fantastic reads (or listens) that convey real, important, scientific information in a way that is accessible to anyone with a decent high school education. Were I to recommend a place to start I would say start with "The Magic of Reality” as it is a nice overview of many different scientific fields. Saint Dawkins presents ideas in this book and all his others in a clear and concise way and in language that can be easily understood by all. For me his works have led the way into the humanity’s past teaching me about where I came from and helping me to imagine where I might go. He is the biggest reason I maintain an interest in biology today and my life would not be the same had I not started reading his work. I hope one day to meet Saint Dawkins and learn from him what I may of the origins of life and people. I’m sure he has much to teach.